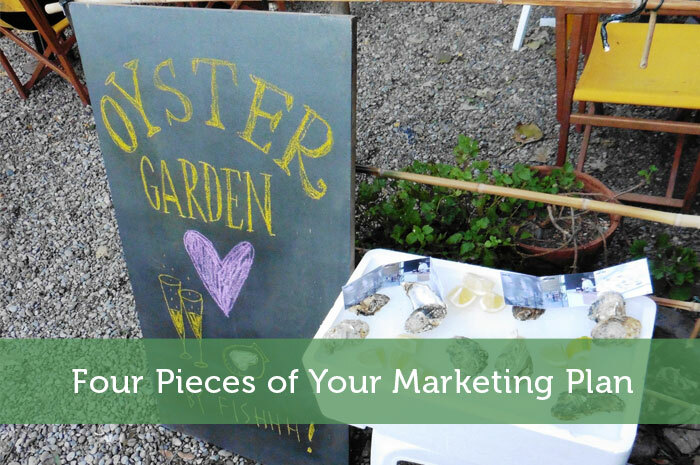 The marketing analysis section of a business plan is where you show off your market research. This research should have taken you a good amount of time to collect as it is what your business’ success may hinge on. It also serves as a focal point for your business and team, according to online business magazine Entrepreneur.com. In a sense, the marketing plan is your strategy for getting your product out into the world and turning a profit from that product. The process of writing this section means you already know about your customer. Who they are, and what problems or issues they have, which will help you to understand why they want what you’re selling. Remember, at its core, a business is selling a solution to a problem. A precise description of prospective customers is one of the first steps to getting your marketing analysis on track. You want to make a tidy profit without scaring customers away, so this is why a pricing strategy is so important. You’ll need to have a unique selling point (USP) so that you differentiate yourself from your competitors on something other than price. Without the USP in place, your costumers have no reason to pick your product over the product of your competitors. That could include offering some incentive that acts as a way to increase customer loyalty. One risky incentive is to offer a below cost price point. Your goal is to make sure you’re not subsidizing your customer by pricing too low, but you could use that as a strategy to attract your first customers. It’s called loss leading. Of course, the risk is that when you do offer your product at regular price, you could wind up losing the initial customers you have, as well some of your profits. The way to avoid this is to be as clear as possible when you are posting your prices that the lower rate is an introductory one, not the norm. A promotion plan is more than just a single tweet, post or email. It’s a series of continuous actions day in and day out designed to create the momentum you need to get sales and build your customer base. Some promotion plans include prizes, giveaways, or contests. You can have a Facebook “like” gate that gives away something of value to new fans, like a special discount code. To find what customers value and what works, you need to thoroughly test your promotions. Giveaways are not the only way to promote your business. Contests are great, but the real best way to get your customers talking is to try a referral bonus program. If your customer refers a friend, offer both them and the friend a special promotional rate. Gaining customer loyalty is going to get you the best promotion of all: word of mouth from customer to customer. The explosive growth of eCommerce is forcing many distributors to invest heavily into creating strategy that works for all forms of online businesses. That means that whether you’re a B2B store or a B2C drop shipper, you still need to lay out how you will deliver your product to the customer. If you’re selling digital products such as eBooks, you need to specify how the customer will securely get what they purchased within a specific time frame. If you are dealing with physical products, the same concept applies but it may be a more extensive explanation. Timely delivery of your product builds customer trust, loyalty, and profits. In order for you to figure out just how many potential customers will want your product, you’ll need to do SWOT analysis. It’s a sophisticated internal and external tool for analyzing your business from the inside out. You can take a look at the industry opportunities and threats and forecast how customer demand can and will impact your business. You can use SWOT to analyze your competition and define your position in the industry. Your competitors are not just your direct competitors, those who have similar products and services, but also indirect competitors and future competitors. The great thing about the web is that if you know where to look, you can find all the information you need to create a serious market analysis. Sites like Google and Yahoo have a lot of raw data that you’ll need to sift through. There are also other business and industry information sites that can provide you with the vital statistics of any company. Some of this information must be paid for, and may help you gain a better understanding of your industry if you have the money for it. However, there are also free sections where business owners can get good information about competitors. Marketing research can help your business take full advantage of the trends and even uncover some new ones. That pricing strategy can play a huge role in success. Its hard to be striving to make a profit without scaring off customers with big price tags. Thanks for the breakdown! Pricing yourself too low can hurt you long-term. There are many case studies showing new competition trying to get a “leg up” on their competitors only to have customers revolt when the company tries to raise prices just to break-even. The business ends up failing because they aren’t making money as prices are too low but they will lose customers if they raise prices. At the moment I’m trying to get a couple of niche websites up off the ground to create some passive income. Most of the planning that I’m doing at the moment is promotion and distribution, trying to get the sites “out there” wihtout spending a lot of money. It’s a lot more planning than I thought!